Life's too short to live by the rules. Redefine your style with a few basics items. 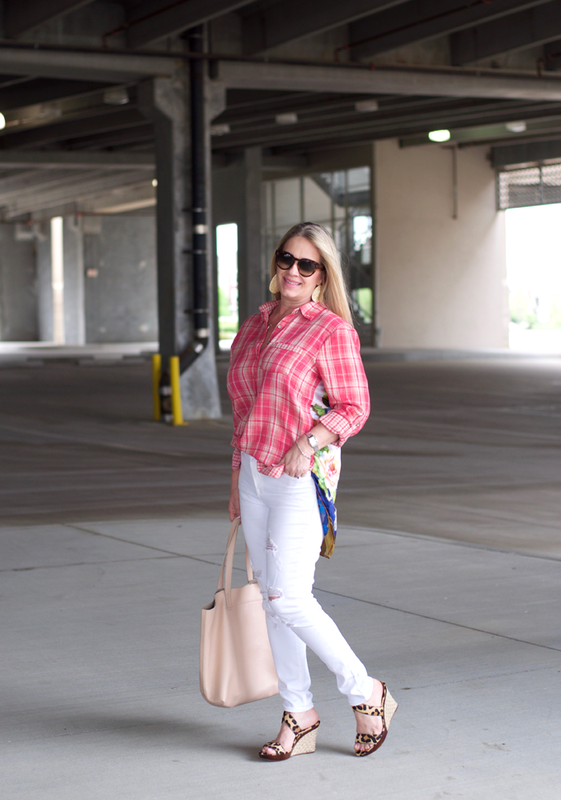 I know I have shared these white distress denim jeans in several post and I can tell you they are truly a great item to have. I own two pair of white, one distressed and one without any distressing. You know I enjoy pattern mixing so when a top already has mixed the patterns for me it's a win for me! This Soft Surroundings tunic is comfy, lightweight and trimmed with a smaller plaid. 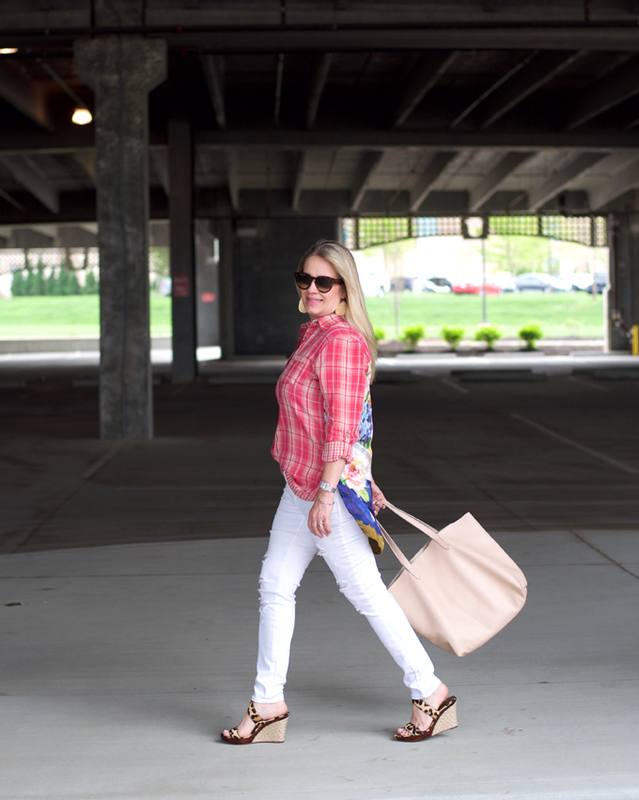 It is the perfect weight to transition from spring into summer. The front is a linen cotton blend and the back is a silky smooth finish. 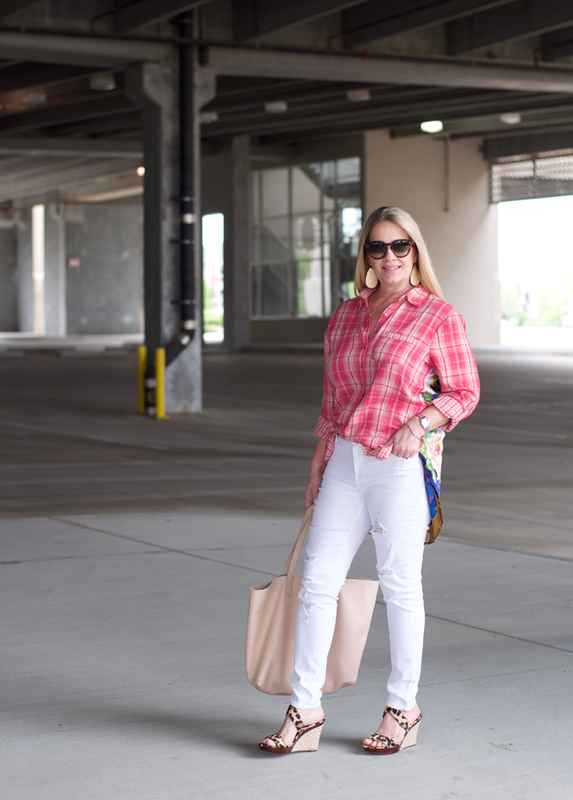 I paired this outfit with my blush Cuyana tote and my favorite Nickel and Suede earrings. 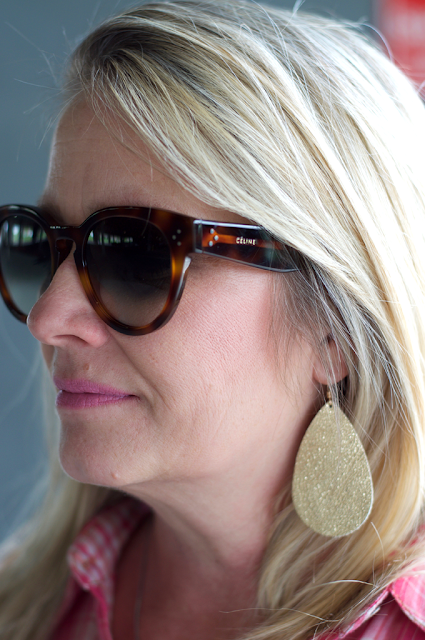 Seriously, these earrings weigh nothing and are the most comfortable accessory. 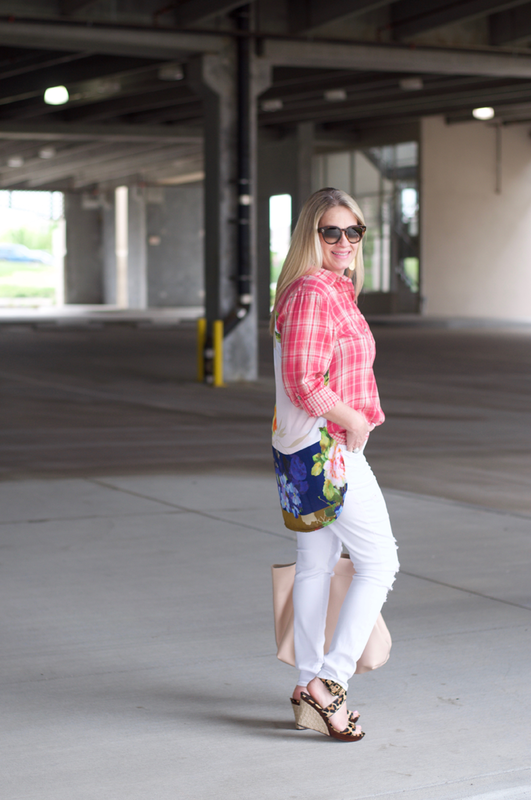 Style Tip: Half tuck in the front of your tunic to give your figure shape. 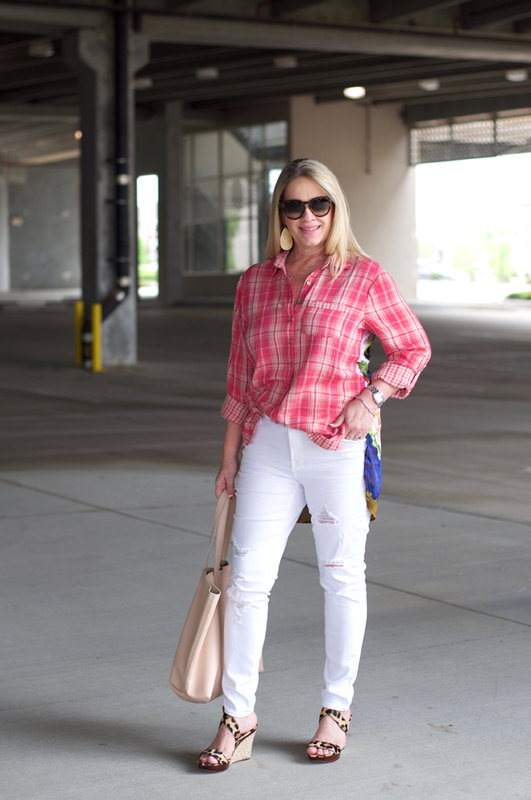 Take the front tail of your shirt and tuck it into the waist only about one inch of the shirt. Blouse it and let it hang loosely on your hips. This defines your waist better without showing all your curves.